fast in Mumbai. This vital Bill was passed in Lok Sabha without any difference of opinion since the House was paying attention on the Lokpal Bill. In this Bill passed by Lok Sabha, any individual who wants safeguard as a whistleblower can approach the Central Vigilance Commission. The Bill insist on the provisions under Official Secrets Act (OSA) remain valued. 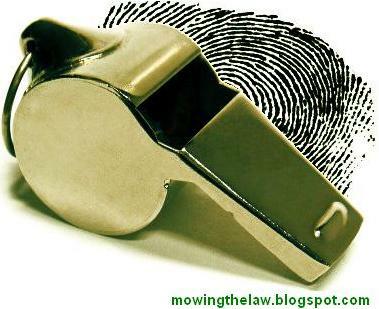 Citizens disclosing any unlawful performance or illegal feat on the part of others that is noticed by them are called a whistle blower. It seeks to ascertain a system to register complaints on any allegations of corruption or willful misuse of power against a public servant, a minister too. The Bill also provides protection against victimization of the person who makes the complaint. The paper is going to substantiate on victimization protection by looking at the pros and cons of this issue. 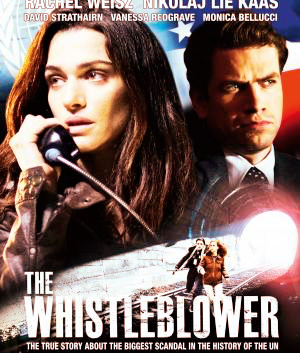 There have been numerous instances of threatening, aggravation and even murder of various whistleblowers. The covet for the bill is lounged in the murder of National Highways Authority of India engineer Satyendra Dubey (November 2003) in Bihar for disclosing the corruption in the construction of the Golden Quadrilateral and numerous other public servants in Maharashtra, Madhya Pradesh and other States, besides killings of Right to Information activists. Two years afterward, an Indian Oil Corporation bureaucrat, Shanmughan Manjunath was slaughtered for sealing a petrol pump that was selling contaminated fuel. A Karnataka executive SP Mahantesh, said to be a whistle-blower in contentious land allotments by societies was murdered in May 2012. Mahantesh was functioning as Deputy Director of the audit section in the state’s Cooperative branch had reported irregularities in different societies involving some officials and political figures. Unable to shield innocent officers, people like these from cold-blooded murders, the authorities have come up with a resolution in the form of this Bill. The demands were that a law should be framed to protect whistleblowers, ease the disclosure of information and expose corruption in government organizations. We necessitate conversely seeking elucidation on whether the bill covered the corrupt practices in the private sector as most projects were being executed under the Public Private Partnership mode. Does this Bill apply to a public revelation in the private sector or does it not? On making an allowance for section 19 we see there is a proviso for punishment to executives of private companies. On the converse to this considering Section 4, as far as the responsibility to disclosure is alarmed, we don’t see private zone being there because that is a case of registered cooperative society, there is a case of a government corporation, there is a case of a minister, unit, MPs, MLAs, Universities’ Vice-Chancellors. A non-government, public or private company, do they come within the domain of revelation or not is a little wooly in this bill. The Department of Personnel and Training (DoPT), Government of India, which directed this bill did very petite to seek advice from people on its contents. They repudiated to make public the contents of the Bill while preparing it in spite of being commanded to do so under Section 4(1) (c) of the Right to Information Act, 2005. This gap between legislature and citizens makes public unaware of their right for protection while blowing whistle corruption and they end up assembling unspoken on the issue of corruption making the competence of bill gone astray. It appears that the projected bill is to just assure the inquisitiveness of ordinary citizens without making any exertion to comprehend the dilemma of whistleblowers. The Bill seek out to shield whistleblowers, i.e. persons making a public interest disclosure related to an act of corruption, misuse of power, or criminal offence by a public servant. But there are constraints to this. Essentially it does not endow any penalty for victimizing a complainant. However, identity exposure carries a penalty of imprisonment up to 3 years and fine up to Rs 50,000. The Bill also has a limited clarity on disclosure and does not delineate victimization. Other countries such as US, UK, and Canada define disclosure more extensively and define victimization. Firstly there is no safety for RTI activists whose individuality will already be in the public realm (through RTI applications). Common Citizens who use the Right to Information Act to depict corruption fall under an entirely diverse category which has not at all been expected by drafters the Bill. Anyone who reports corrupt practices based on the information obtained under the RTI Act must be mechanically sheltered and his complaint must be acted upon. Secondly the identity of the whistleblower can be exposed at manifold junctures, including from the chief of the department of ostensible corruption to investigative agencies. Conditions that will require disclosing of complainant’s identity are not lucid, the more number of people privy to this information, the harder it will be to trace source if identity were to be unkindly disclosed. Thirdly no deterrent penal action (e.g., instantaneous annihilation, defeat of pension and mandatory imprisonment) is précised against those found guilty of victimization. Lastly terrorization by corporeal harm need not only focused on the whistleblower, immediate family could also be targeted. These questions of facts are not enclosed in the bill. Harshita is currently pursuing her BA.LLB (Hons) from National Academy of Legal Studies and Research (NALSAR), Hyderabad. India has been steadily sliding down the corruption index as tabulated by Transparency International: 72 in 2007; 74 in 2008; and 85 in 2009. “Disclosure” is defined as any complaint made in writing or electronic mail against a public servant on matters related to (a) attempt to or commission of an offence under the Prevention of Corruption Act, 1988 (b) willful misuse of power which leads to demonstrable loss to the government or gain to the public servant; or (c) attempt or commission of a criminal offence by a public servant. The Vigilance Commission shall not expose the identity of the complainant except to the head of the department if he deems it necessary. The Bill penalizes any person who has disclosed the identity of the complainant.